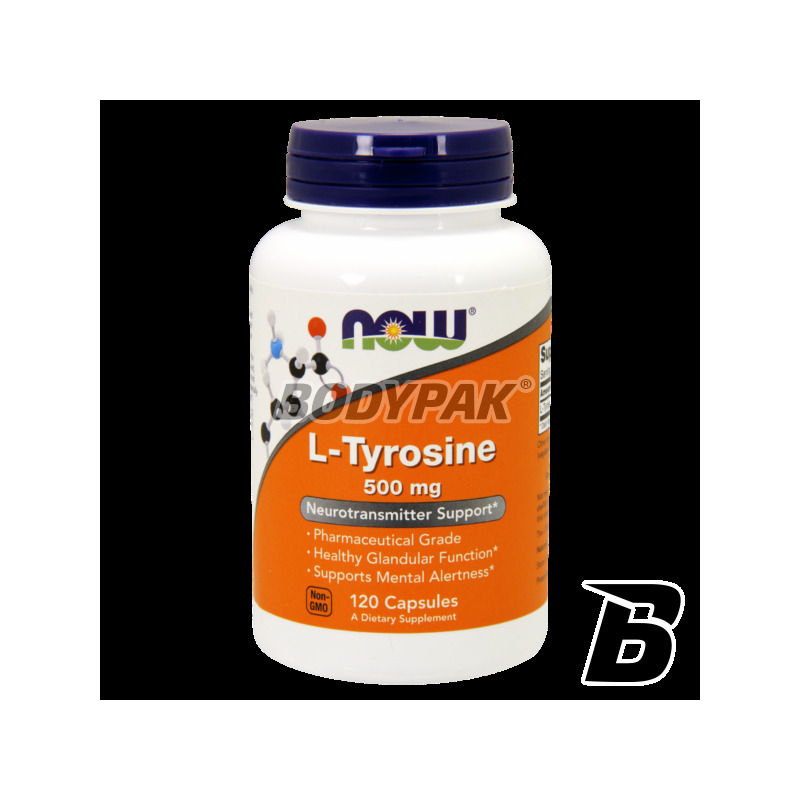 Health & BeautyNOW Foods L-Tyrosine - 120 kaps. NOW Foods L-Tyrosine - 120 kaps. NOW Foods L-Tyrosine is a special amino acid with potent energizing recommended athletes in the phase of intensive training. 43 loyalty points Your cart will total 43 points that can be converted into a voucher of 1,72 PLN. 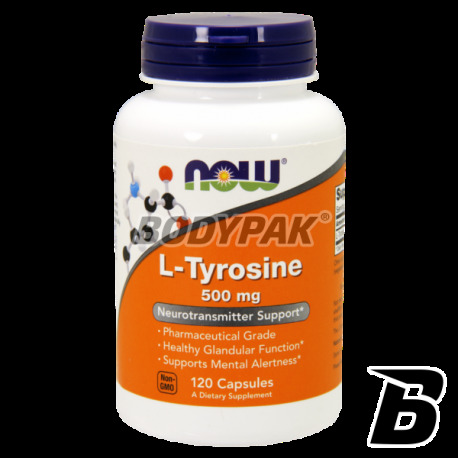 NOW Foods L-Tyrosine - 60 kaps. NOW Foods L-Tyrosine is a special amino acid with potent energizing recommended athletes in the phase of intensive training. High levels of tyrosine in the body associated with increased physical and mental strength helps prevent conditions rapid fatigue and exhaustion. Dietary supplement NOW Foods L-Tyrosine is also used by the pancreas to produce thyroxine - a hormone, which stimulates protein synthesis, increased blunt metabolism, increased growth hormone secretion, to lower cholesterol levels in the blood, regulates the condition of the skin, nails and hair, affects the well-being . Apply 1-2 times daily 1 capsule. Use 1-2 times daily 1 capsule. Inne składniki: żelatyna (kapsułka), stearynian magnezu (pochodzenia roślinnego), kwas stearynowy (pochodzenia roślinnego). Swanson L-Tyrosine 500mg - 100 kaps. L-Tyrosine increases physical and mental activity, enhances motivation, increases resistance to stress and improves mood. MEX Triple Omega 3 [Fit Line] - 90 kaps. Excellent preparation based on omega 3 has a positive effect on the health and well-being! High concentration of standardized fish oil. It also helps to maintain normal blood cholesterol. The preparation of high-class pro-health-based beta phytosterols plant. It supports the maintenance of normal cholesterol levels and maintaining a healthy circulatory system! Swanson Full Spectrum Triple Mushroom Complex - 60 kaps. Comprehensive pro-health formula based on three mushrooms, which are the basis of many traditional medicine (Mitake, Reishi and Shiitake). Each serving affects many aspects of life, including natural vitamins, minerals, proteins (including amino acids), but also polysaccharides, lentin and eritadenin.